Food definitely has to be one of the reasons to spend some time in Tuscany, and second to enjoying Tuscan cuisine comes the desire to know how to prepare a Tuscan meal. No doubt that's why I often receive enquiries about arranging "cooking lessons at our accommodation in Tuscany". Usually, my answer is first to try Le Cetinelle, Simonetta Landati's B&B in the Chianti hills above Greve in Chianti. 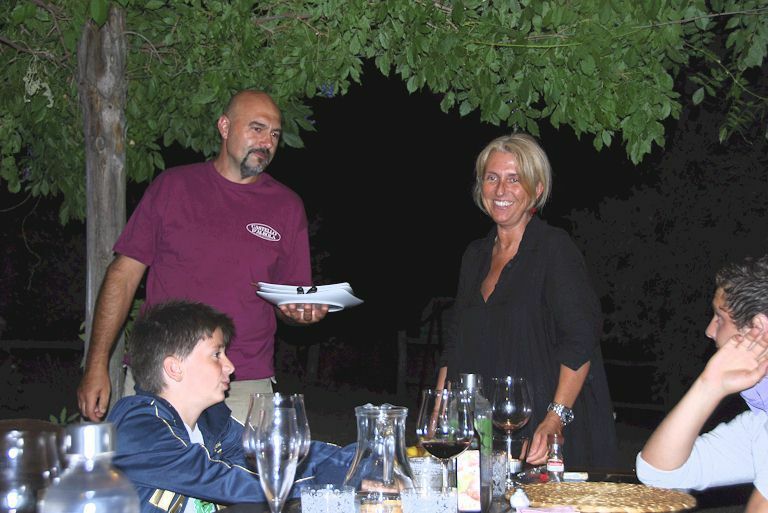 Agriturismo Le Cetinelle Bed and Breakfast offers Tuscan cooking lessons to vacationers. At Le Cetinelle, the Tuscan cooking classes are hands-on. When participating in a cooking lesson, you prepare and cook yourself under Simonetta's expert guidance in a very friendly and informal atmosphere. Whenever possible, fresh produce from the Le Cetinelle vegetable garden and orchard are used, plus, of course, their own Chianti Classico wine and extra virgin olive oil. Cooking classes can be arranged over 1, 2, 3 or more days and they usually start at 10 am for a lunch cooking lesson and 4 pm for a dinner lesson. This allows plenty of time for the lesson before you sit down to enjoy the products of your labours. For those more interested in dining that cooking, Simonetta also prepares evening meals for those who are interested. 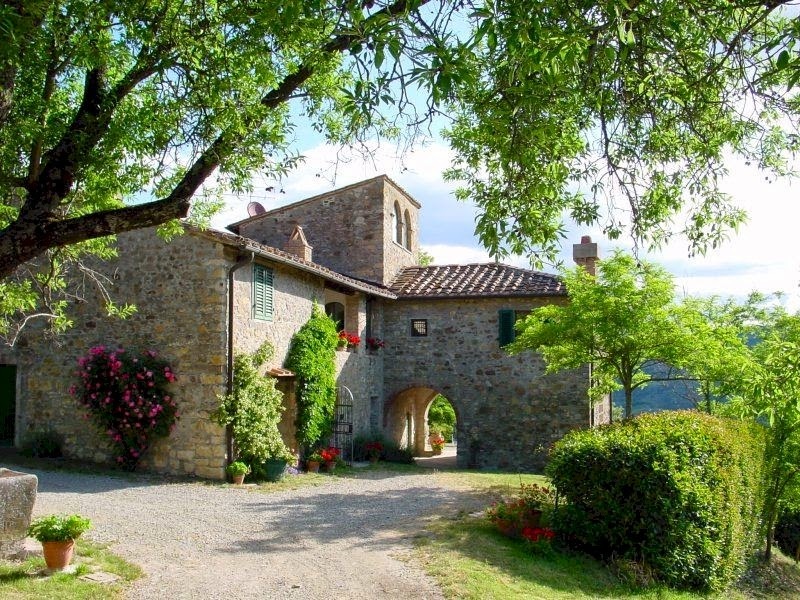 So if you're seeking very attractive and economical vacation accommodations with the opportunity to learn Tuscan cookery, Le Cetinelle is the place for you! More about Tuscan cooking lessons at Le Cetinelle.